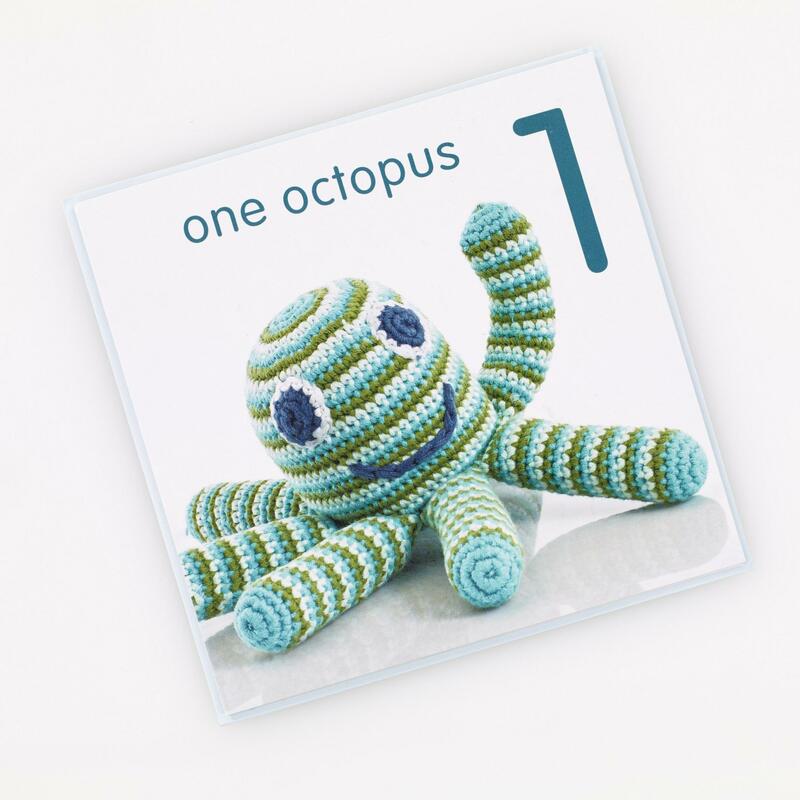 The first of Pebble's range of greeting cards featuring their wonderful octopus rattle. Perfect for a first birthday card. Complements our ever popular octopus baby rattle.